Not only do we love hearing success stories from teachers who found ways to implement LearnKey courseware into their curriculum, but we know that information also helps others by showing real-world examples of how the program works. All of my students, (100%) passed the Word and PowerPoint certification exams first try without books during the fall semester. The e-Learning online instruction helped me to individualize instruction. It is based on the students’ learning styles. It provides virtual, interactive learning with video (which includes certification objectives in an outline format), guided practice, and independent practice activities. It helps students to develop a thorough understanding of the Microsoft certification objectives. Do you have a success story for us? Share it in the comments or post it on our Facebook Timeline! Remember how I promised all you teachers out there that LearnKey would be releasing some really awesome new tools to use in your classrooms? Well consider that promised fulfilled, because we will be releasing brand new course projects and the A+ workbook, both made specifically for you and ready to use for the 2012/2013 school year! As many of you know, our new A+ 2012 course was released at the end of July. We were excited to introduce Tom Carpenter as the new face and author of A+ 2012. Tom is a great fit for teaching this course because he has hands on experience teaching A+ to high school students, preparing them for the A+ exam. Tom also has 15 years of training, 20 years of work experience in IT and has also written 14 IT related books through McGraw-Hill and Sybex. Included with the course is a new course workbook, and one exciting thing about the A+ workbook is that it was written by Tom Carpenter specifically for LearnKey. Teachers should be excited about this because Tom personally made sure that the workbook is mapped to our A+ course. Included in the workbook are application projects that provide learning opportunities that will prepare students for the A+ exam. The workbook also includes some bonus information not included in the course that expands upon concepts that are presented, and lesson plans which can be used as a guide to teach the course. We are really happy with the work that Tom put into the workbook and know that it will be a great asset to the A+ teaching experience. Our next big end of summer release is the teacher projects, made by teachers for teachers. Much of the feedback that we were getting from teachers was that they wished we had more projects that were more hands on and really reinforce skills that their students need to receive their certification. We heard this feedback and are happy to say that since June we have had teachers who use our courses in their classrooms create projects that will be available to all LK teachers to use. The team here at LearnKey has been working really hard all summer to make sure that these awesome new features would be ready to go by the time you go back to school. I am really proud of all of the work that has gone into these projects and I am positive that they will be a great benefit to your classroom. This week I had the opportunity to go to the great state of Texas and attend the Texas Career Education Conference. I thoroughly enjoyed my time in Texas so y’all may find that some Texas talk made its way into this post. Jared Baker, one of LearnKey’s “road warriors”, was nice enough to let me go to the show with him for the week and really help me see what happens on the front lines. Thinking back on this week, three things come to mind: Hot tempertures, tasty food, and amazing people. Coming from Southern Utah I didn’t think that the weather in Dallas would be anything to blink an eye at, but when we walked out of the airport it was hot–darn hot! Heat I am able to handle, but mixed with humidity made being outside downright uncomfortable. Not much can compare to the bbq, mexican food, or creole food that has been perfected across Texas. But one thing that is a secret to non-Texans is Blue Bell Ice Cream. I had this for the first time this week and I can honestly say that it is the best ice cream I have ever had. The highlight of my trip was not the food and definitely not the weather – it was the great teachers that I was able to interact with at the show. The first day of the show was on Tuesday and I was scared as a sinner in a cyclone to talk with the teachers. Luckily for me I realized that I had no reason to worry and I had a fantastic time. I loved hearing about how teachers are using LearnKey in the classroom. How do you use LearnKey in the classroom? Let us know in the comments or on our Facebook page! We love to hear people’s success stories. Whether you’re a teacher implementing LearnKey courseware in your classroom, or you’re a learner yourself using LearnKey courseware to advance your career, It’s a great feeling to know something we created made an impact in someone’s life. That’s why we want you to share your stories! Let us know how our courseware helped you land that new job, or how blending eLearning in your classroom raised your pass rates, or how implementing a training program helped increase productivity at your business. We may even choose your testimonial to be featured on our website! 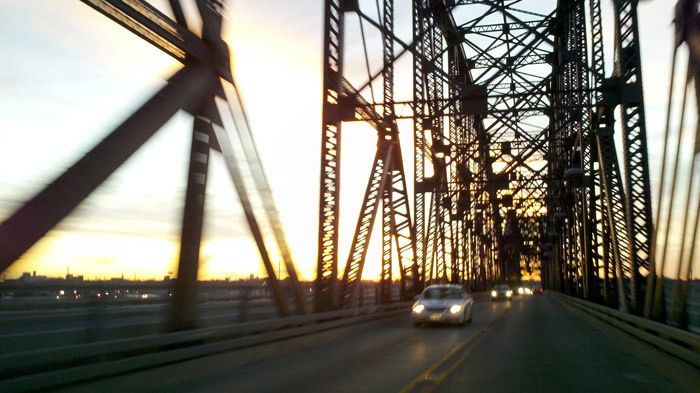 …or leave a comment on this post with your story. Be sure to include which courses were involved and if any certifications were earned using our courseware. We’re not picky about the format either – you can type it out, record a video, include pictures, whatever you want to do! At LearnKey, we support K-12 learning in several ways, but many teachers aren’t sure integrating technology into the classroom actually pays off. That’s why we’ve come up with this handy infographic! Do any of you have success stories about how blended learning helped your students? Or maybe a unique way you’re integrating online learning into your curriculum? Let us know in the comments! Are you excited for the end of summer? You should be! I know what you are thinking – “Why is this guy talking about the end of summer when summer has just begun?” Well, as promised in my last blog post I want to keep you up-to-date with some of the exciting happenings at LearnKey this summer. Here is a little sneak peek of some awesome OnlineExpert features to look forward to over the next couple of months. This free instructional course teaches educators and administrators how to easily access, use, and learn the functions of OnlineExpert. The LMS tour is broken into manageable sections, which allows users to easily find and watch material that is relevant to their needs. This is one feature you don’t have to wait for – the LMS Tour was just recently released! Since it is free, current customers can easily have our representatives add it to their course libraries. Teachers: We have listened to your requests – “More hands-on activities!” We are excited to announce that our Office 2007/2010, Adobe ACA, and IC³ courses will feature hands-on projects created by teachers who use our courses in their curriculum. These projects will help reinforce what students are learning by providing them with hands-on experience throughout the course. In the past, our courses have made heavy use of Flash video and players, which certain mobile devices don’t support. Since these devices are becoming more and more popular in learning environments, OnlineExpert will allow students and teachers to use mobile devices as a learning tool with new touchscreen support beginning in August. I am excited to be able to share these upcoming releases with everyone. After all, don’t we all need a good reason to actually look forward to the end of summer? Be sure to check back often for the down low on what’s going on at LearnKey. I love getting comments, so here’s a question for you – What are your favorite summer traditions or vacation spots? Beautiful weather in Bessemer, Alabama where we stayed. We spent some time in Tuscaloosa, meeting with a teacher working with students and passing the CompTIA exams like A+ and Network+. We showed him the teaser clip to our upcoming A+ 2012 release and he’s really looking forward to it. We also had the pleasure of visiting The University of Alabama, which has a beautiful campus. 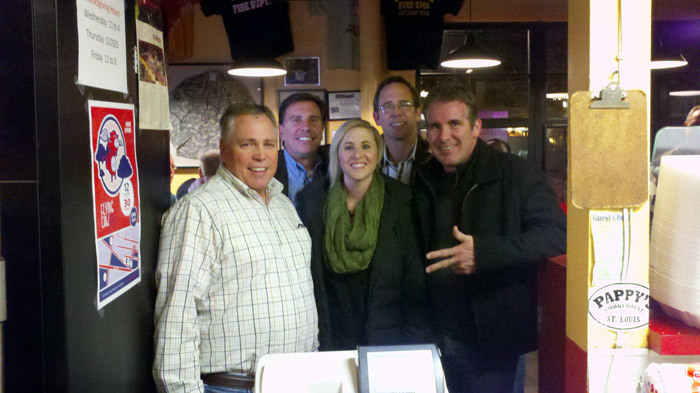 We found a great place called The Mellow Mushroom, and had some of the best pizza I have ever eaten. 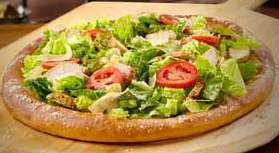 We had a Cesar Salad pizza…yes I know salad on top of a pizza, and yes it was amazing! The first day of our education conference and 2 hour workshop for teachers went really well. The conference was hosted at the Mercedes factory located in Vance, Alabama. This location is the manufacturing facility where the M-Class, the R-Class, and the GL-Class are built. Our conference was located in the training center for the employees, the landscape is so beautiful and we had a chance walk through the visitors center and gift shop where I picked up a few souvenirs. 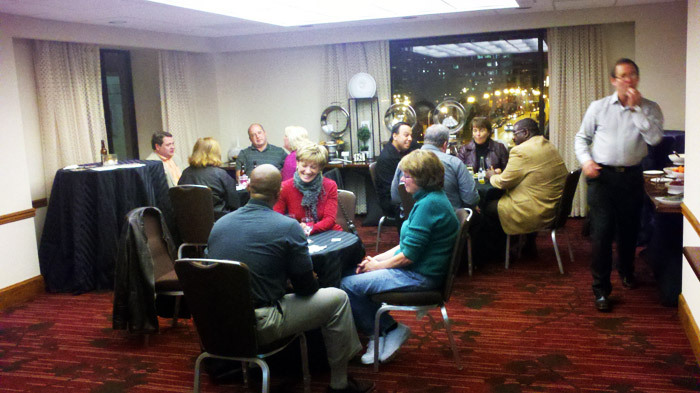 LearnKey First Quarter rollout of enhanced courses and products for 2012! It is starting to be really busy with our LearnKey 2012 production shoot schedule, and I’m very excited with some of our new courses and exams recently released the past three weeks. It started with our February 2012 release of our Advanced Security Practitioner Certification (CASP) course designed to provide students with an explanation and understanding of conceptualization of security topics, as well as theoretical instruction/demonstrations in designing and engineering security solutions. This training course prepares students for the CompTIA exam CAS-001. LearnKey Expert course instructor Tom Carpenter does a very thorough and solid job covering the key objectives. Earlier this week we successfully released our Flash CS5 MasterExam™ that helps IT certification candidates put the finishing touches on their comprehension and confidence as a final step before sitting for the exam. With over 200 questions, this supplements the training and hands-on experience needed to pass the Adobe® Certified Associate (ACA) Rich Media Communication with Adobe® Flash® certification exam. Another release this week is our PowerPoint 2010 MasterExam 77-883 which is a great way to assess the skills of your staff with the individual components of PowerPoint 2010. Increase productivity by discovering and correcting skill deficiencies, or to find out how proficient prospective employees are before you hire them. We ended the week releasing our Dreamweaver CS5 MasterExam™ with over 200 questions that supplements the training and hands-on experience needed to pass the Adobe® Certified Associate (ACA) Web Communication with Adobe® Dreamweaver® certification exam. Over the next couple of weeks I will share with you our 2012 Production release schedule for the remainder of the year. One teaser I can share with you is a very exciting course we plan to release about leveraging behavior – a perfect life skills and career readiness topic. We are off to a great start, and I promise to keep you posted on our most recent product releases! 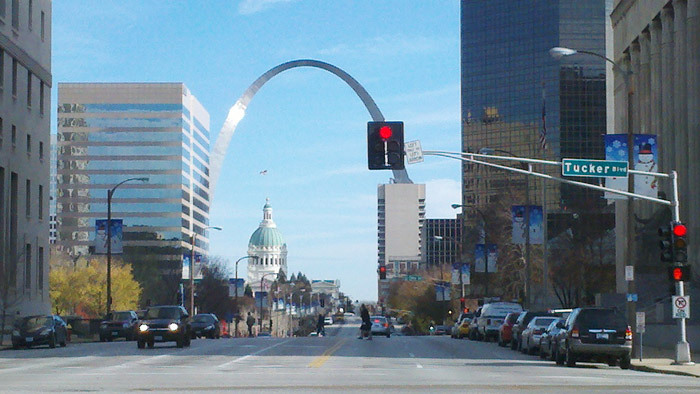 Recently I traveled to the annual ACTE conference that was held in St. Louis, MO. I traveled with all guys from our company, and it has been pretty interesting trying to keep them all on task and under control! It was a great experience; we arrived on Tuesday afternoon and had a great evening relaxing after our long day of traveling that consisted of a two hour car ride to the Las Vegas Airport, about a minute train ride to the gate, then a three hour flight to St. Louis, a five minute bus ride to the rental car counter, and a fifteen minute drive to the hotel. Yes, you read that right; excluding a boat we pretty much covered all modes of transportation. The next day it was time to head over to the booth and set-up. Everything went well and thanks to Kari, our graphic designer, the booth we have takes about an hour to set-up. As we headed out to the parking garage, we noticed a sign that said cash only. Living in the modern age that we do it was shocking and of course we had no cash on us. Well we talked the nice parking attendant (I won’t name her just in case her boss by a small chance reads this) into letting us out on the honor that we would bring her back the two dollars we owed her. We went and got some supplies and brought the money right back to her. 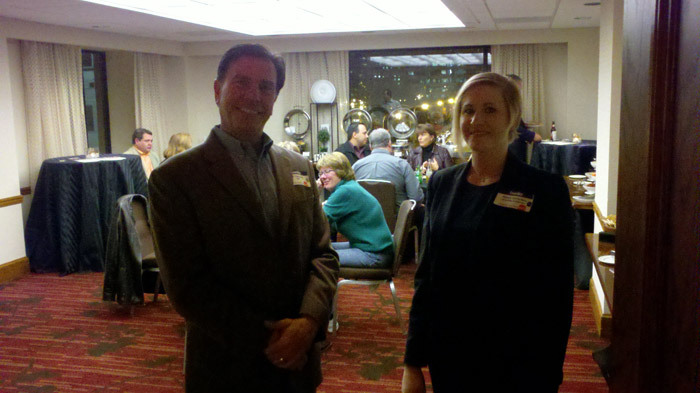 That night we held a reception at our hotel; it went off without a hitch and everyone had a great time. So thank you to everyone who attended the event and to everyone who helped make it a success! So on Thursday it was time to get down to business and start talking with all of the wonderful educators that made it out to this year’s show. It was a great show with a lot of enthusiastic people and a great energy. People were loving the giveaways, and of course gobbling up the Dots candies that we put out. 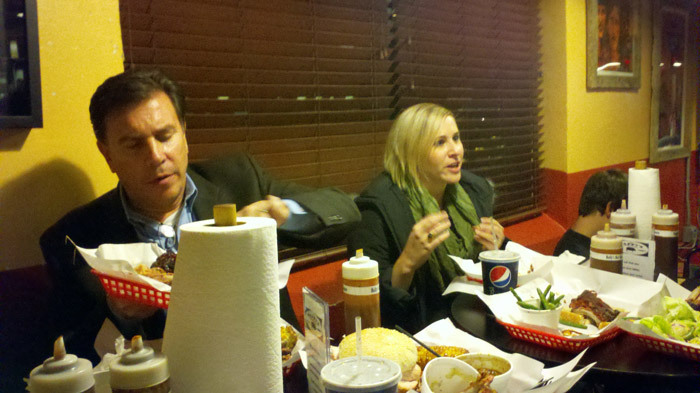 After a really long day on our feet, we all decided that when in St. Louis you better eat some BBQ. So we asked around and got a tip that Pappy’s Smokehouse was the best place in town, but that we better make it there pretty early because once they run out of stuff it is just gone. We got lost, but eventually found our way there and boy was it worth it. We ordered the Adam Bomb named after Adam Richmond from the television show Man vs. Food. 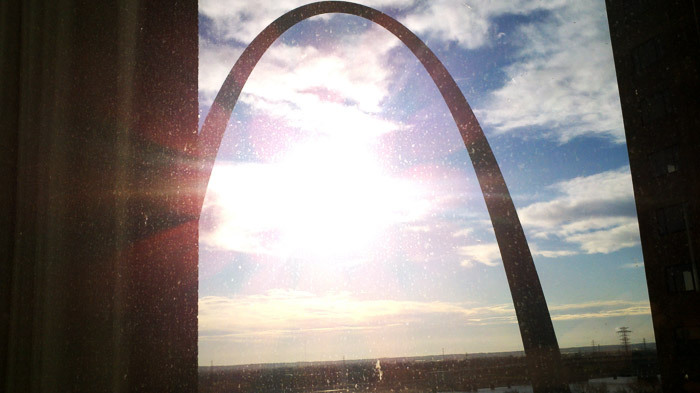 It was a lot of really good food and we all ate way too much, but everyone was in consensus that they would recommend it to anyone who ever visits St. Louis. The food was so good that we ended up getting another Adam Bomb for take out on Friday. We made our way back home and back to the LearnKey offices. Sad to leave our new friends and the great food, but excited to be back home! In our support of the fight against bullying, we are giving all of our education customers our Bullying: You Don’t Have To Take It Anymore course for free! Over the last few years a light has been put on the problems that young men and women face because of bullying. This light has given us an idea of just how bad the problem really is. We are giving our support in hopes that this course will be used as a tool to help kids understand how they can help stop bullying in their schools. The more kids understand and know the more they will be able to recognize bullying and help put a stop to it. 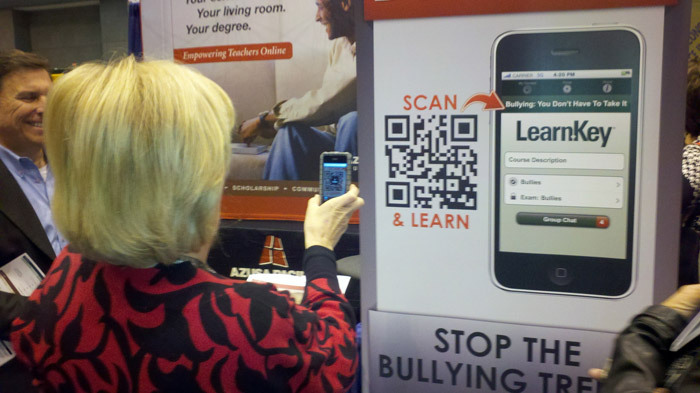 Our current Education customers should already see our “Bullying…” course in their library. If you are not a current LearnKey customer and are interested, call 1.800.865.0165 or leave a comment on this blog (using a valid name and email address) and we’ll send you access to the course absolutely free. 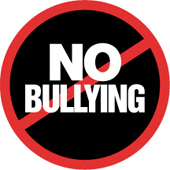 St. George, UT- January 30, 2012- LearnKey, an online training company based in Utah, has announced that all educators will have access to their Bullying: You Do Not Have to Take It Anymore course for free. The company is showing support for the fight against bullying by supplying all of their education customers with the course for free. In addition if there are any educators that are not current customers who are interested in the course, the company will give you free access to the course as well. In recent years the concern over bullying that is taking place in schools has been spotlighted by the media, and schools are responding with new programs to help eliminate bullying. 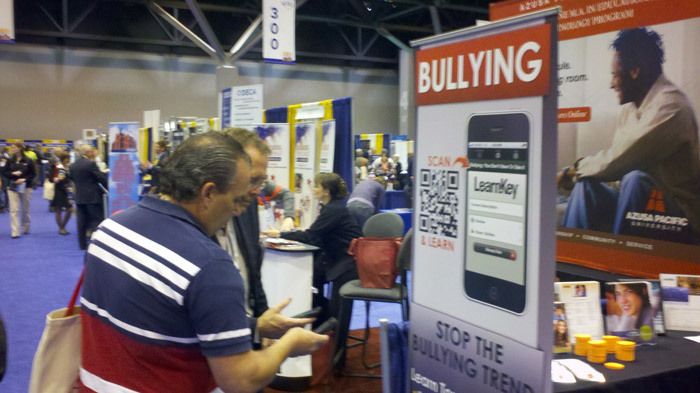 LearnKey is hoping that, by offering this free tool, they are helping to do their part in the fight against bullying. “Studies show child/teen bullying and cyberbullying are at an all-time high and as many as 160,000 students stay home on any given day because they fear being bullied,” said LearnKey CEO Jeff Coruccini. “We have a responsibility to support the fight against bullying and this is our way of supporting that cause”. For more information about LearnKey or the Bullying: You Do Not Have to Take It Anymore course, please contact us at 800.865.0165. Established in 1987, LearnKey is self-paced online and offline training for corporate, education, government and personal users. LearnKey has decades of experience in the professional development arena. 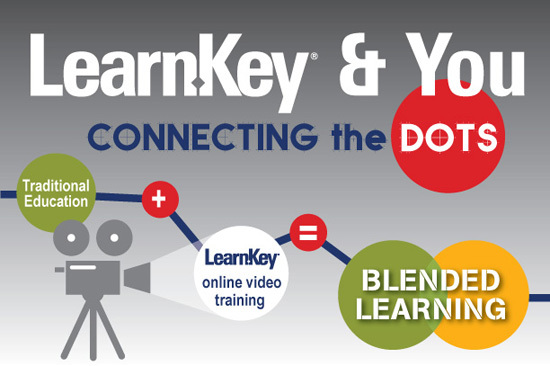 LearnKey offers interactive, engaging, and flexible training that is accessible anytime, anywhere. LearnKey course concentration areas include Networking, IT Technical, Web & Graphic Design, Leadership, Management, Safety and Compliance, Medical CE, K12 and Character Development.